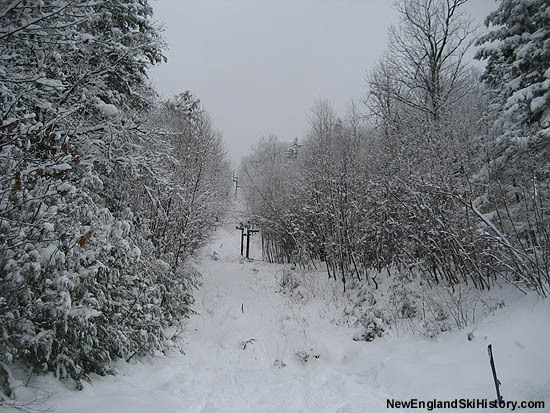 Located on the northwest spur of Crotched Mountain, Onset/Bobcat trails originally only climbed part of the way up the mountain, served by a double chairlift. Shortly after becoming connected to Crotched East, management moved forward with plans to increase the vertical drop on what was now known as Crotched West. 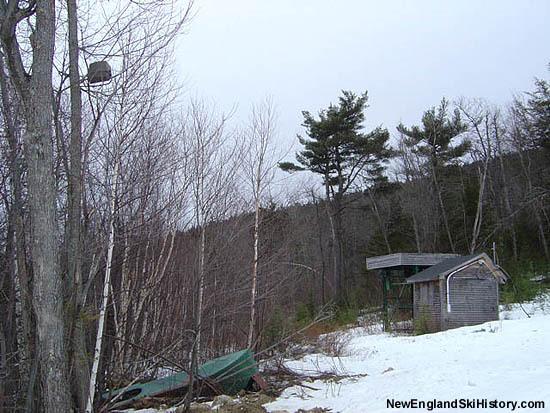 For the 1987-88 season, a new CTEC fixed grip quad chairlift was installed on Crotched West, climbing some 878 vertical feet. A 327 foot increase over the existing Valley Chair, intermediate and expert trails (such as Turbo, FIS Upper, The Chute, Roundabout, and Overpass) were cut, providing bigger skiing. 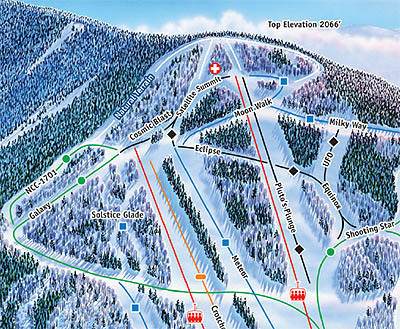 In addition to the new chairlift, the West T-Bar was relocated to the new complex as the Summit T-Bar. 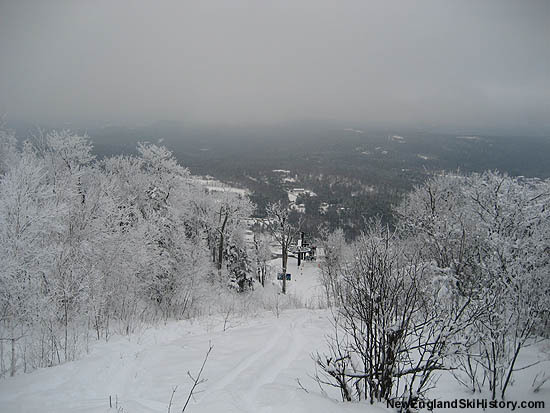 Shortly after Crotched Mountain closed late 1980s, the summit quad was removed and sold to Jiminy Peak. Two double chairlifts and one T-Bar remained on site. When Peak Resorts took over the property in the early 2000s, only the smaller of the two double chairlifts was re-used. The old upper mountain T-Bar would later be removed. 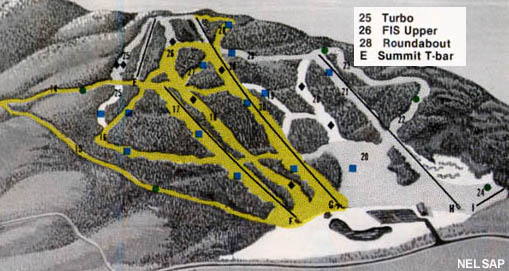 The longer of the two quads, a 1989 Riblet from Ski Cherokee, Virginia, was installed adjacent to the former summit quad. Perhaps due to lift size and wind issues, the new quad terminated below the west summit. 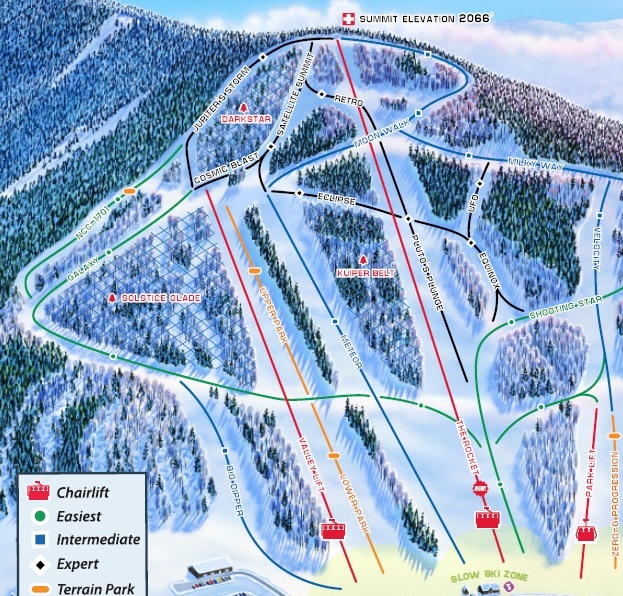 Though still a higher area than the original Onset Bubble Chair, the new top terminal location resulted in cutting off access to a few upper mountain trails. 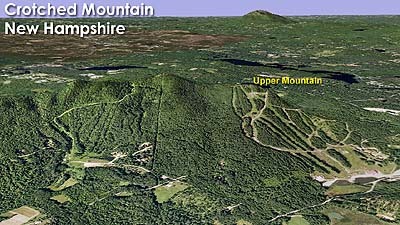 Starting in 2005, the upper mountain trails were displayed on the Crotched Mountain trail map, as efforts started to cut down the two-decade old tree growth. 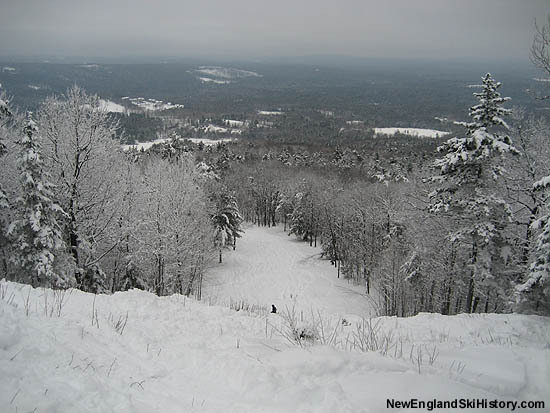 In February of 2012, Crotched Mountain announced it would be installing Ascutney's former North Peak Express Quad for the 2012-2013 season, opening 25 acres of upper mountain terrain. 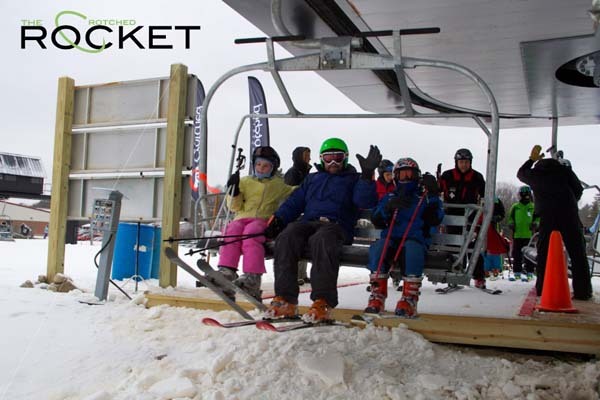 Dubbed the Crotched Rocket, the quad chairlift opened along with the new trails on December 1, 2012.